Exceptional websites from conception to design up to programming and implementing – from the point of view of your aims and target audience. An optimal online presence procures professionality and integrity. At the same time, the increasing use of tablets and smartphones demands a high flexibility of websites. As a design agency at the peak of the branch, we seek to connect these two elements of good web design in the best way possible. 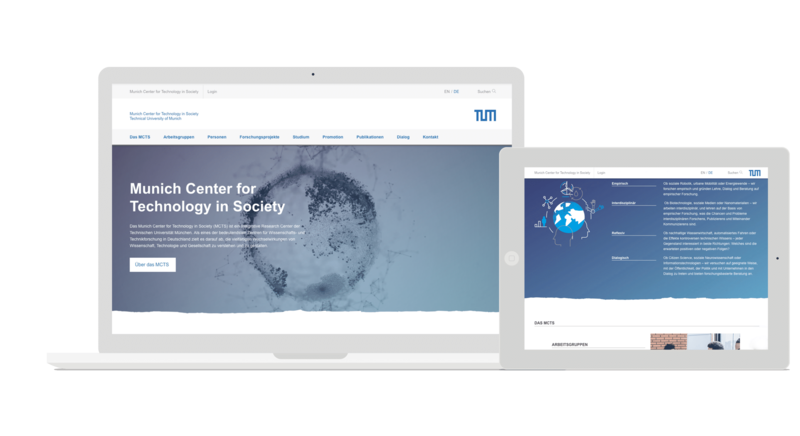 We use the so called »Responsive Design« only, reaching a perfect depiction of your corporation’s presence on all devices. One of our strengths in doing that is our experience in various sectors as our customers in mobile web design include not only medium-sized companies and startup companies, but also high-technology corporations and research facilities. 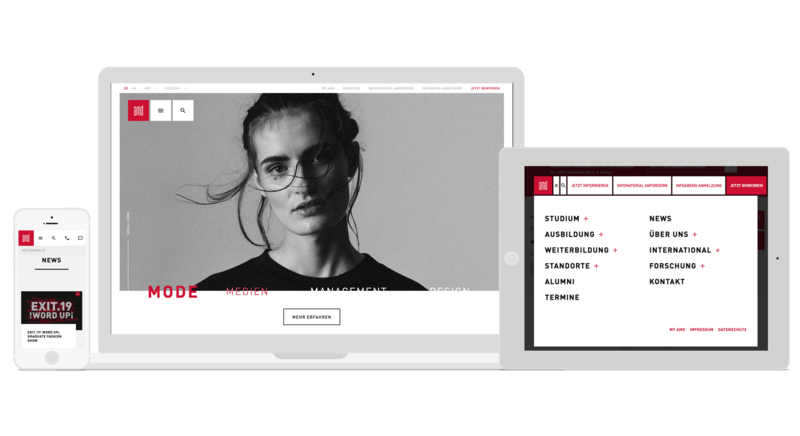 Web design: fully responsive, optimised for competition and up-to-date. Our websites are optimised for being viewed on a lot of different devices, first of all for being used on all common smartphones, tablets and other devices. We optimise your website for all popular search engines. This Search engine optimisation (SEO) affects your business success in a direct and, without exception, positive way. We only use the latest software for our web design, as HTML5, CSS3 and WordPress. We also use customised plug-ins for special applications. We offer concepts and advice for handling Social Media. Whether you would like to become active in Facebook, Twitter, Instagram, Google+ or another network – we will support your wishes. A website is supposed to live up to your, and therefore our expectations, too. To accomplish this, a lot of steps, concepts and ideas have to be thought and implemented together. A result, with which your corporation gets the attention it deserves even in times of increasing online competition, can be reached only when meshing perfectly. 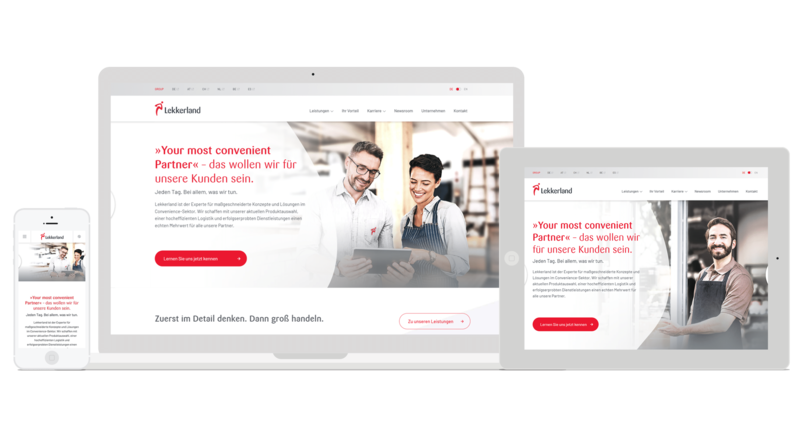 We at the brand and digital agency 360VIER therefore try to think from your point of view and with your success in mind – from the first meeting to design, conditioning your contents and programming up to steadily maintaining and optimising your new internet presence. When doing the conception for a website, we put ourselves in the customers‘ and prospects‘ place to imagine their typical situation of use. 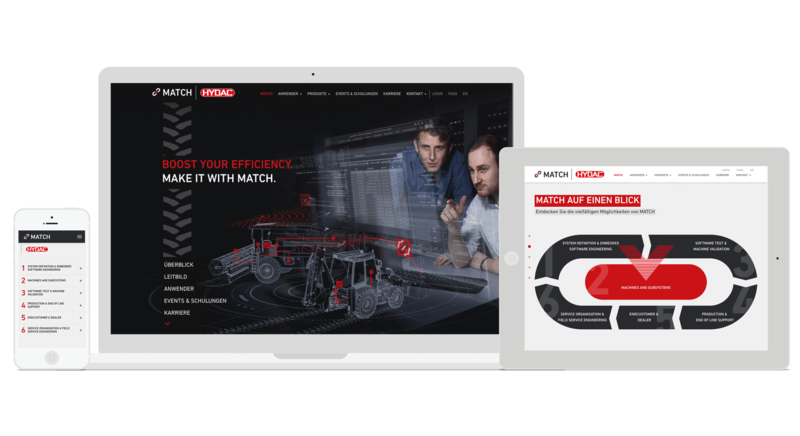 Coming from that, we optimise the website to achieve the maximal interaction of users, always following the principle: Clear and simple functionality combined with an ambitious design. Designing websites is not only about optimal and comprehensive transport of information and corporate identity, but also about usability. The navigation and setup of websites should accommodate as much people as possible. At this point, many disabled people experience drawbacks as they need websites that are designed accessibly. The implementation of a long-range usability either limits the creative possibilities or demands higher efforts in technology and design. We, as an internet agency, meet this challenge with smart and valuable solutions. Good design is crucial. However, we at 360VIER are positive that the result always has to offer more than just putting up a big front. Therefore, the starting and core point of our efforts as a design and internet agency is to present your contents and services as perfect as possible. At the end of the day, they determine whether a customer will decide in favour of or against your products and services. Therefore, we already examine your content during the process of conception, trying to process your strengths with you in the most visible, understandable and persuasive way possible. We help you finding catchy headlines, develop claims and putting the finishing touches to your texts so that your skills are presented to your customers from Frankfurt, the Rhein Main area and from all around the globe in the most visible, catchy and thrilling way possible. Each corporation and each customer is different – therefore, the tonality of communication has to be adapted each time. For that purpose, we develop the right communication strategies precisely matching your demands so that your company addresses the people exactly the way you wish and the way it is supposed to – no matter if on Facebook, in advertising brochures or on your new WordPress website developed by us. All our websites are conceived and sketched by designers at first. Our web developers implement these drafts in close collaboration with those designers. The impressive results are modern and functional websites with an outstanding design. An individual website design should put the record straight when it comes to presenting your corporation in the web as your website and its graphic design is your online flagship. The first impression counts not only in the physical world, but in the internet as well. As an internet agency, we can draw on a vast treasure of experience here. Basically, web design is the visual depiction of a website or the design of a web presence by content, which might consist of images, graphics, stylesheets, animations and texts. In the preliminary steps, a web designer usually works with a so called screen design, which is a sheer graphical work without including HTML and which is later converted to a web format. The designers at 360VIER work to implement the communication goals of our customers while making use of the technical conditions. Workflows that mesh in an ideal way provide a fast and reasonable result. 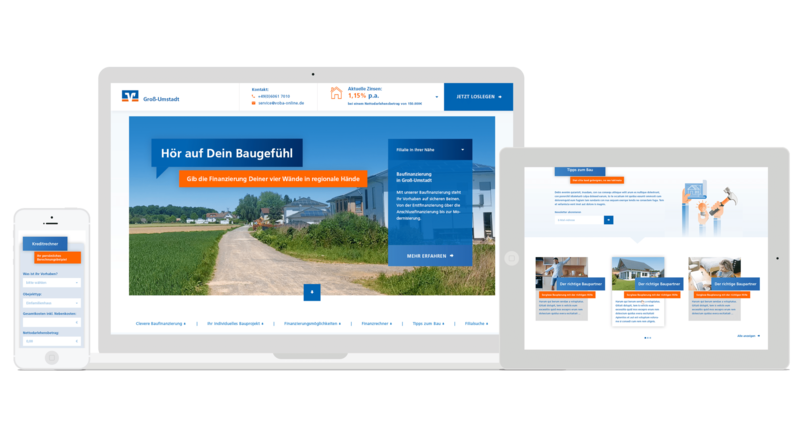 It does not matter whether your customers use their tablet or smartphone in Frankfurt or somewhere else: With out templates for responsive design, your website always appears optimally designed. Our designers already consider the necessary requirements during conception. In development, we only use the latest editions as HTML5 and CSS3 with WordPress being used as a content management system. That way you can change a lot of contents with a few clicks even after the project has finished. Furthermore, WordPress is constantly evolving. Due to the extensive tasks to complete, hiring a web agency is not exactly cheap. 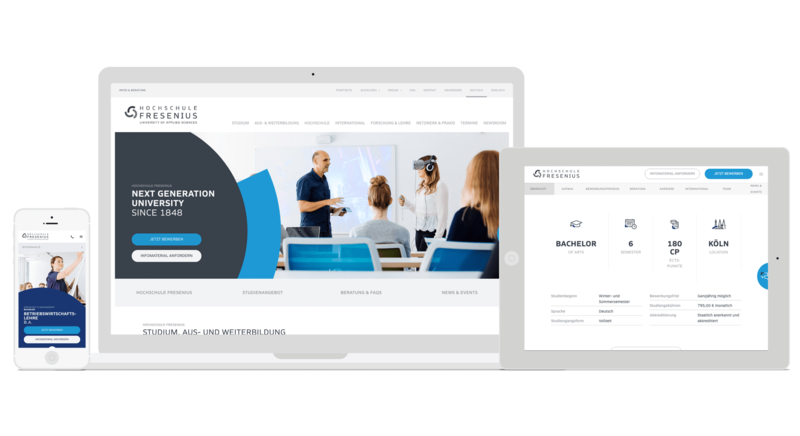 However, as we are a corporation from the Rhein Main area, you will profit by our knowledge, our professionality and our optimised processes in web design and website programming as well as in online marketing and in optimising contents and search engines. With our calculable prices, we would like to appeal to medium-sized companies which cannot or do not want to pay for overpriced web design. You have questions or do need advice on a new project?